Alfa Romeo will be coming up with some new models for the year 2020, and they will all be based on the “Giorgio” platform that the Italian brand has spent 5 billion Euros developing. So far, we have only seen one model—the recently introduced Giulia—out of those being planned. There’s certainly plenty of room for some imagination. According to Alfa officials, a compact SUV—called the Stelvio—will be next in line. The car will share its mechanical features with the Giulia, and will boost Alfa’s presence in both sides of the Atlantic. To follow this is a larger sedan aimed at challenging the BMW 5-Series, the Mercedes-Benz E-Class and the Audi A6. Experts predict that the 5-Series challenger is similar to the Giulia, and will be offered either in rear-wheel drive or all-wheel drive. The lower models in the range will most likely have the same turbocharged 4-cylinder engines. Those who want more power need not worry. This sedan is bound to have a high-powered variant through a 505-horsepower, 2.9-liter twin-turbo V6 the Giulia Quadrifoglio is known for. 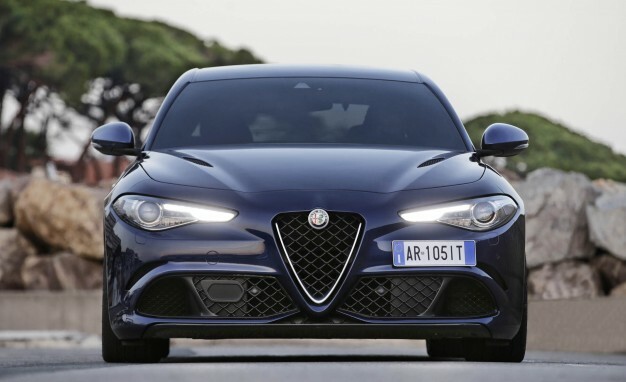 In fact, the new sedan can even produce more power from the same engine than the Quadrifoglio, Alfa’s head of product development Philippe Krief said. It can even rival the bigger M-5, so power should not be a problem. But in an aim to fill the gap between the twin-turbo and the 276-horsepower 2.0-liter turbo four, Alfa engineers are more likely to come up with a variant that is less powerful than the V6. At the very least, the use of the new 2.2-liter Alfa turbo-diesel will be highly welcomed in Europe, where 80 percent of the segment is powered by four-cylinder diesels. A six-cylinder diesel can also be expected. What we’re hearing from Alfa is that it plans to produce 400,000 units of this said larger sedan.